I know a lot of people are out for the summer already. We still have this week and next week left of school before summer vacation begins. My daughter’s first grade teacher loves to go to the movies with her husband so I thought we’d give her some movie tickets at the end of the year to show our appreciation for her. I thought it was a great way to start off the summer. OF COURSE, I couldn’t just buy a card! Ha! 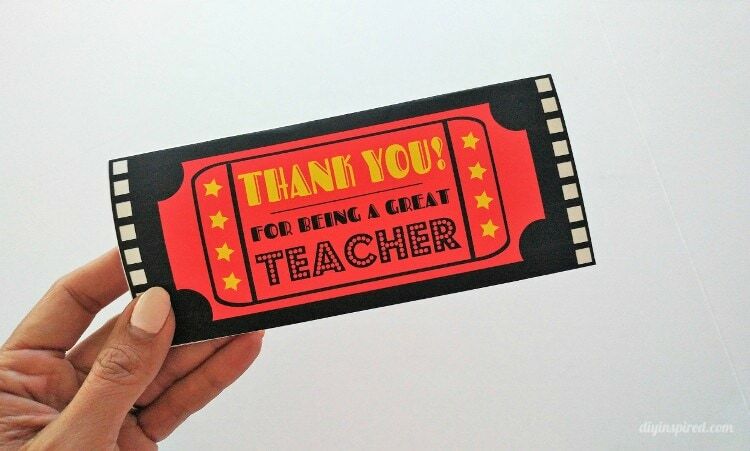 I HAD to make a little something, so I thought I’d share my movie ticket printable envelope I made for our end of the school year teacher thank you gift. 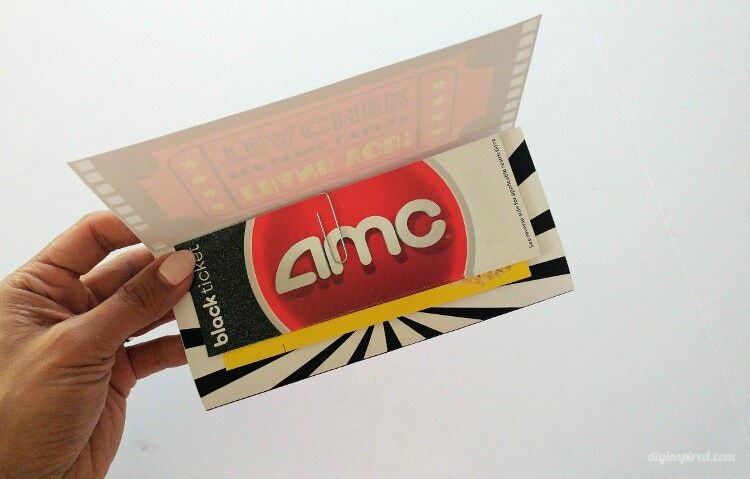 Simply print out the printable movie ticket envelope from my Etsy shop and cut it out. Fold it into a trifold. Paperclip the tickets inside the envelope and secure it shut with glue dots. You can use regular printer paper but I recommend using something sturdier like brochure paper or cardstock. Here are a few pictures of the inside front and back. I tried to be clever… haha! 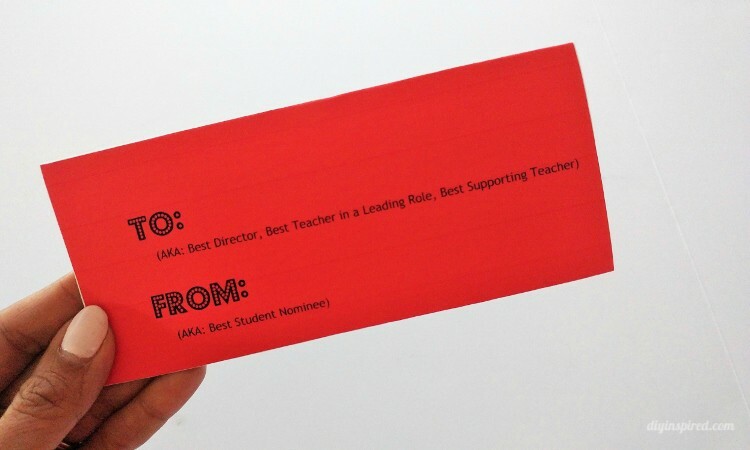 The “to” section says “AKA: Best Director, Best Teacher in a Leading Role, Best Supporting Teacher” and under the “from” section it says, “AKA Best Student Nominee”. I hope you like it! 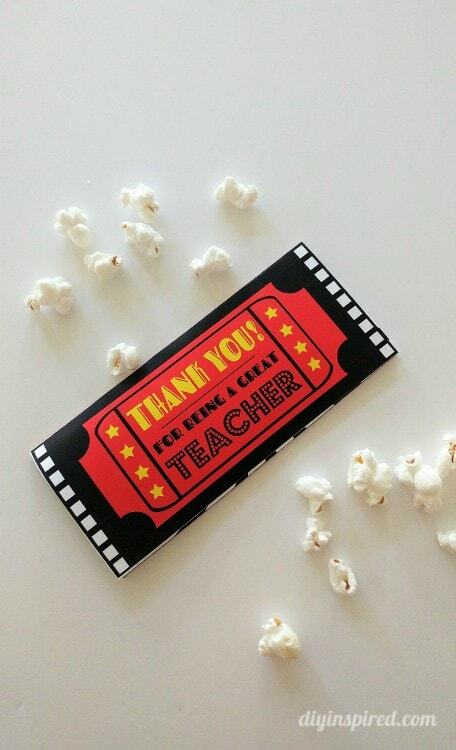 It’s a simple idea for a teacher who loves going to the movies and the best part is that it only takes 5 minutes!